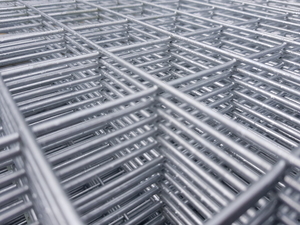 Stainless steel welded wire mesh panels are manufactured from 304 grade stanless steel wire that is welded to form a strong, corrosion-resistant joint. The Stainless Steel (SS) metal gives a better and smoother finish than galvanised mesh panels. Manufactured from 16swg wire and available on 2.4m x 1.2m sheets in 50x50mm and 25x25m, and 12.5 x 12.5mm square mesh aperture. Stainless steel mesh panels are attractive and can be used where an attractive, long lasting and rust-free mesh is required.From animal hutches, aviaries, mesh walls in bars and restaurants or for decorating retail shop displays. We also supply a much larger range of hot-dipped galvanised steel mesh panels that are ideal for fencing applications and are a lower cost. Please browse for full details.